This palette has been on so many blogs now that I almost decided against mentioning it, but I think that any palette that has be hunting it down is worth a post. I was sold on the combination of safe neutrals with some pretty peachy/pink shades. It was the shimmering ‘Organza’ and ‘Gateau’ that made me need it – I don’t have shades like this in my collection already, so felt I needed to add them. Once I had chance to play with them Glitz was also a winner – I’m a sucker for shimmery shades. 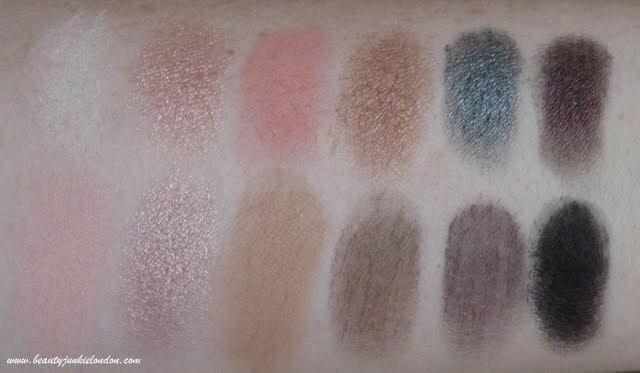 So overall I really like the shimmer shades, but not blown away by the mattes. But a lot of that is down to personal preference for shimmer over matte. So what do you think of this palette? I know there’s been talk of it being sold out but I saw one in the Superdrug near work last week and it’s still available on the Sleek Website too. The Sleek Oh So Special Palette cost £6.49. I’m the same- always prefer shimmery shades and although I use matte ones, I’m never blown away by them.